Poland is outraged - the idea of erecting a memorial is seen as an attempt to «distort history» and «distract attention from Katyn». More than 150 thousand Red Army soldiers became prisoners of war (POWs) as Poland unleashed an attack against Soviet Russia. In total, together with political prisoners and civilian internees, there were over 200,000 Red Army soldiers, civilians, White Guards, members of anti-Bolshevik and nationalist (Ukrainian and Belarusian) formations - all held in Polish concentration camps. The Polish military GULAG did not exist for a long time – it lasted around three years but it exterminated dozens of thousands. 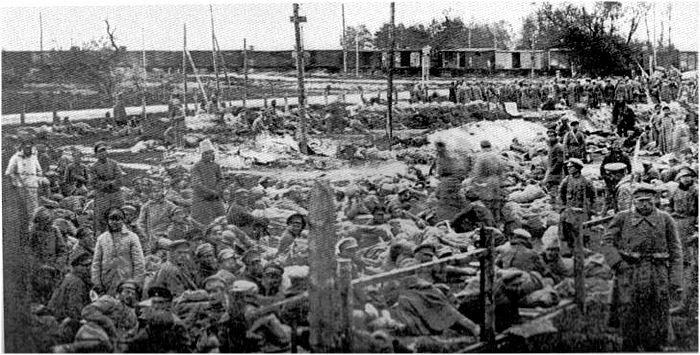 The most deadly concentration camps were located in Poland - Stshalkovo and Tuchola. Totally over 50 thousand people - Russians, Ukrainians and Belarusians – perished as a result of being kept in Polish prisons and internment camps: around 10-12 thousand Red Army soldiers died in concentration camps, 40-44 thousand in prisons (around 30-32 Red Army servicemen and 10-12 civilians) and the fighters of anti-Bolshevik and nationalist formations.